Recognizing that life can be challenging and, at times, stressful, I offer an open, honest and caring approach to working with individuals. I am located in Fort Worth, Texas, just 30 minutes from Dallas. I have more than 20 years of experience as a helping professional and 14 years of experience as a clinician. My specialties include Depression, Anxiety and Relationship therapy. I am most committed to my work in the area of Depression and Anxiety and use a Cognitive Behavioral and/or Rational Emotive approach to working with clients. I'm pleased to work with you on working through life's difficulties, whether it be the trials of parenting, marital difficulties or coping strategies for depression. Sometimes in the midst of our journey we come across issues that would best be shared with a professional who can help provide insight and assist in developing new patterns for behavior. Thank you for considering me as your helping professional. I look forward to assisting you in creating change. 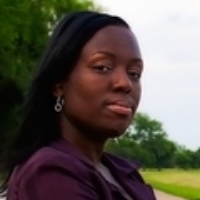 Would you like to write a review for Tiwana Bell? We'd appreciate if you can spend a couple of minutes to write a short review for Tiwana Bell (MSSW, LCSW). This review would be shared with Tiwana Bell. It may also be posted in our website or in Tiwana Bell's profile but it would be anonymous and your identity would be kept completely confidential.